Welcome to the second day of Word Art Week, where the sentiment is the star. If you missed yesterday's creation, you can see it here. Cut and fold your card base from Whisper White card. Cut your DSP panel (I cut mine ¼" smaller than the base) and attach to base card. I'll be back tomorrow with another Word Art Week creation, and it's a special day, so I hope you'll join me then. Labels: Bracket Label punch, CAS, DSP, Sale-A-Bration, Stampin' Up! Super cute and Super simple...DSP is perfect for that! Thanks for playing with us at Can You Case It?! what a great card, and so very colourful. cute and simple to recreate! Thanks for playing along this week at CYCI? Nice! Thanks for joining us at CYCI! 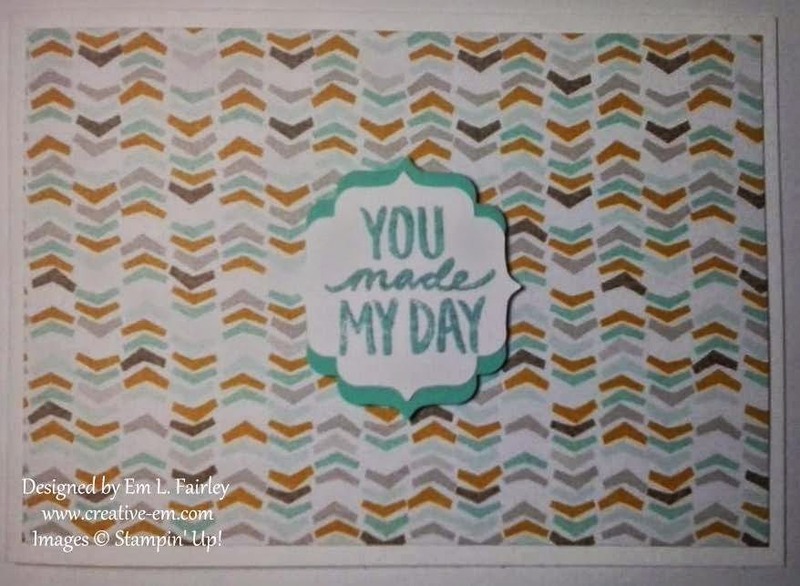 Great use of the patterned paper for this card! Thanks for playing with us this week at CYCI. I love this paper pack. Such a lovely mix of colors. Thanks for joining us last week at Through the Craft Room Door. I hope you will join us for the new challenge that starts today.